Over the years three different lighthouses have marked the entrance into New York’s Rondout Creek from the Hudson River. 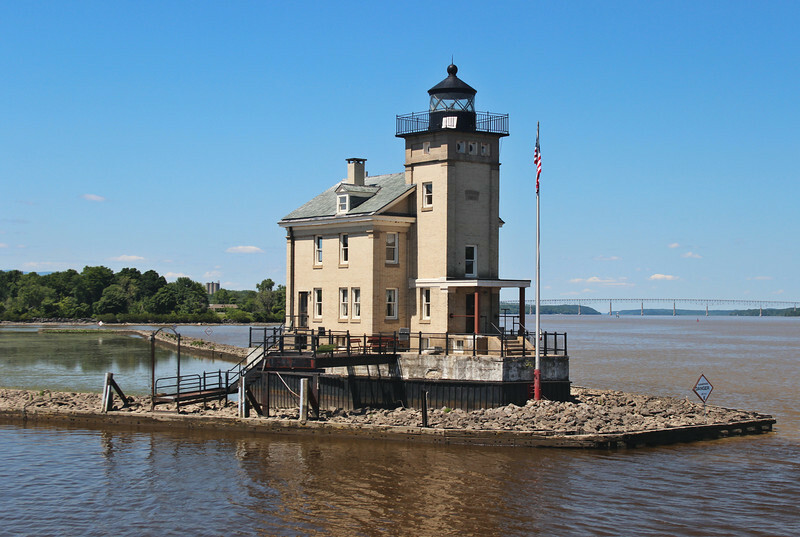 The lighthouse helped the town of Kingston grow into an important stop on the Hudson as commerce traversed up and down the river. In 1828 one of the early canal projects connecting the Delaware and Hudson Rivers was completed with the opening of the 108 mile Delaware and Hudson Canal. The new waterway connected the coal mines of Pennsylvania with the markets of the eastern seaboard and beyond. The eastern terminus of the canal was at Rondout Creek.